The worldview of the average student grows increasingly irrational and eclectic. And most of the time, they don’t even know it. This combination (non-biblical worldview plus lack of self-awareness) can be a huge barrier to the gospel. How can we overcome this obstacle in order to communicate the gospel clearly and effectively? 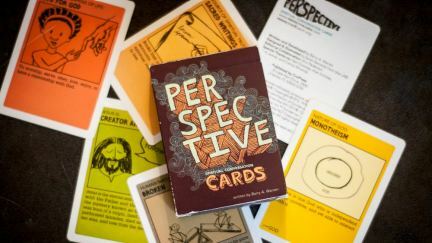 Imagine a new evangelism tool: a deck of playing cards addressing the issue of worldview, turning this evangelism obstacle into an open door for the gospel. That is the beauty of Perspective. 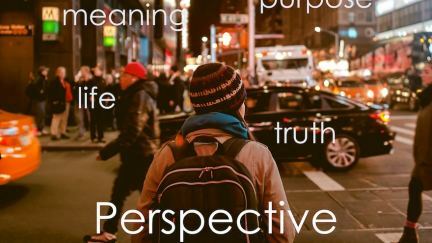 Perspective provides a disarming approach to a spiritual conversation, allowing others to share their perspective about five important topics. In each category, participants choose the card that best represents what they believe, and then they tell you why they believe it. How one Cru movement changed the evangelistic climate on their campus – and experienced a change in their own hearts – over the course of one week. The app has been carefully designed to faithfully reproduce the Perspective Cards experience, moderating great, face-to-face, spiritual conversations. And it’s free! These banners have proven to be an effective and exciting way to meet and talk with new people about what they believe and about the gospel. 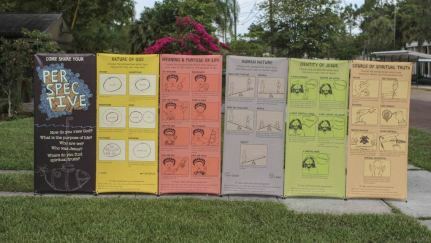 Imagine how a set of Perspective Banners could foster conversations on your campus, in your community or at your church!